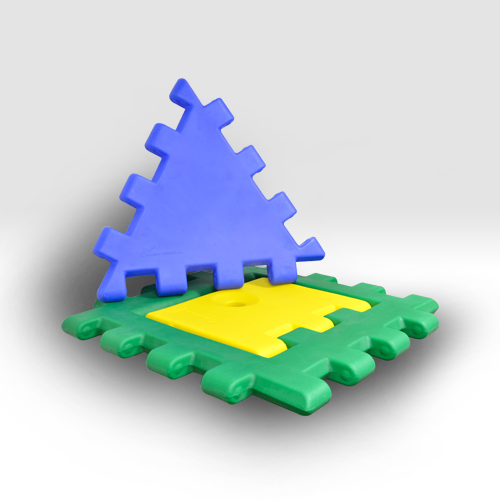 Jer-Den Plastics is a leading supplier of plastic rotomolded products for the toy and play equipment industry. We are trusted suppliers to some of the best known brands in the children’s product sector, and we have manufactured rotational molded products in use by children around the world. The global toy industry is expected to hit the $100 billion mark by 2015, and is projected to continue to grow. Like no generation prior, today’s parents are spending their income on toys and play equipment that foster childhood development. And, because toy consumers (children) grow so rapidly, parents are constantly buying new and different products to meet their child’s changing needs and interests. Rotational molding is by far the best process for designing and manufacturing children’s toys and play equipment. 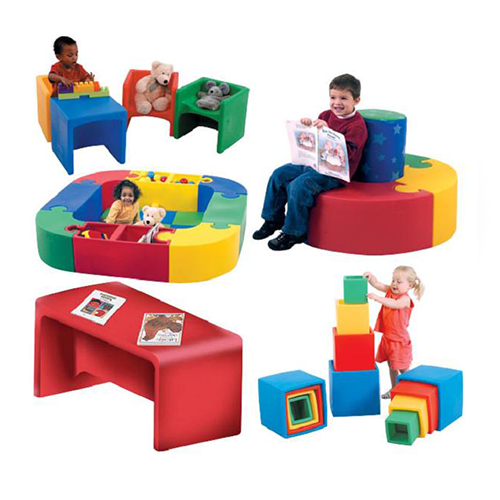 Think of today’s most popular preschool toys: pedal cars, playhouses, climb-and-slides. Their bright colors and soft, rounded edges are all the result of rotational molding! Of course, safety is every responsible manufacturer’s first priority when producing products for children. At Jer-Den we pride ourselves on our commitment to manufacturing the safest children’s products available. We understand the safety and regulatory compliance requirements of the toy industry – and guarantee to meet or exceed these standards. The rotational molding process allows for the production of some of the safest toys and play products in the industry. Rotomolding lends itself perfectly to producing sweeping curves and smooth, safe, seamless, rounded designs – with no sharp edges and no dangerous corners. And, because the rotational molding process offers one-part or large-part construction, there are no small pieces to break off. Overseas plastics manufacturers often “cut corners” on safety to lower their costs. And, because they are in another country, you may never know that they have produced a defective product for you until a child is tragically hurt. At Jer-Den our safety record is unblemished. As an American manufacturer with decades of toy and play equipment manufacturing experience, we take our commitment to consumer safety very seriously. We manufacture toys and play equipment from high density, colorful, impact resistant plastics that will hold up for years under the rigors of childhood use – and that will withstand the environmental stresses to which outdoor play equipment may be subjected. Additionally, our rotational molding is “seam free” and “weld free” – making it safer, more durable and less likely to break. Rotomolding also allows for a virtually unlimited array of bright and appealing colors. We provide high-intensity blending to provide the custom colors you need for your rotational molded toys and play equipment. We offer every color imaginable: preschool primary colors that pop, bright day-glo pinks & greens that appeal to older children, and everything in between. Additionally, we can manufacture the same product in multiple colors much more easily with rotomolding than with other manufacturing processes. Simply have your marketing department or R & D team bring us an idea. We will help you consider the look, the features, the color, the best materials, the safest designs and even the price of your competitors’ similar products. Our engineers – using sophisticated CAD technology – will then design and rapidly prototype your product. We can rigorously test it for you, ensuring compliance with every safety standard and regulation. We will then utilize our state-of-the-art machinery, operated by skilled employees, to rapidly bring your finished rotomolded product to market! 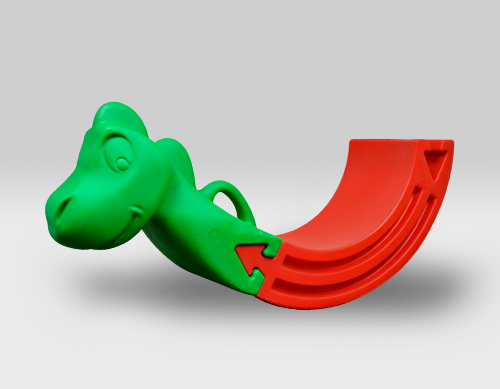 If you have a specialized manufacturing requirement for Plastic Toy Rotational Molding, our experienced engineers and plastic manufacturing professionals can design a custom solution to meet your unique needs.